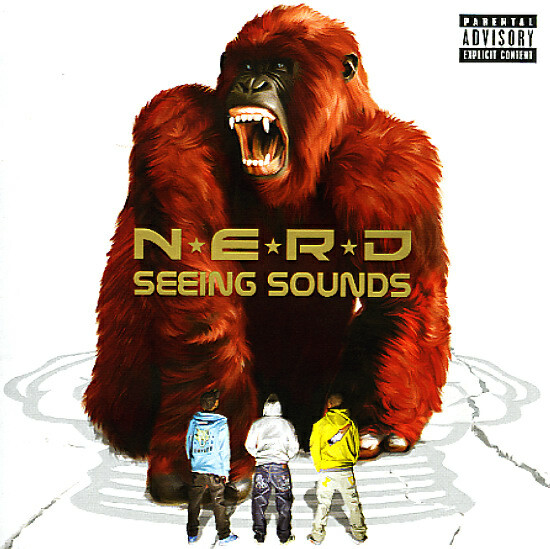 NERD sees sounds all right – and those sounds are far looser and more free associative than the precise hitmaking formula that main NERDs Pharell Williams and Chad Hugo spun as superstar production team The Neptunes! The sounds to see, feel, and hear, include jittery synthesizer beatcraft, crunching riffs, simple, yet searing guitar solos that would fit just as well on a Prince album, club ready hip hop, new wave dynamics, and even a slow jam or two – and the lyrical topics are all over the place, too! Tracks include Everybody Nose" (silly title, but the Bomb Squad influence in the production works), plus "Spaz", "Windows", "Yeah You", "Sooner Or Later", "Happy", "Kill Joy", "Love Bomb", "You Know What" and "Laugh About It". © 1996-2019, Dusty Groove, Inc.